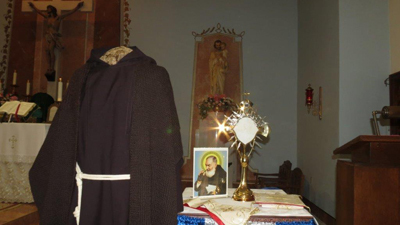 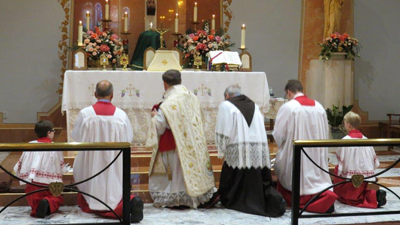 The relics of St. Pio of Pietrelcina, better known as Padre Pio, were presented for veneration of the faithful on Friday, September 28, 2018, in the chapel of the Visitation Monastery. 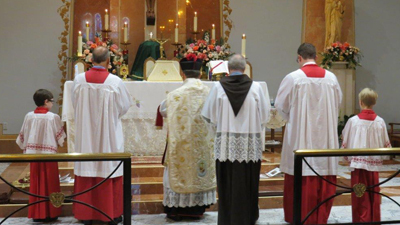 Brought from Italy to the diocesan shrine of Our Lady of Fatima, located at St. Stephen's Parish in Pensacola, Florida, the relics were transported to Mobile by the pastor of St. Stephen's, Msgr. 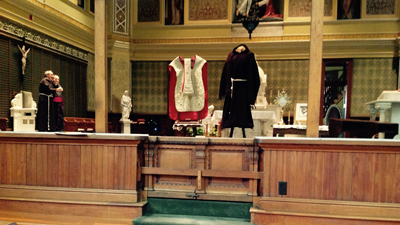 Hector R.G. 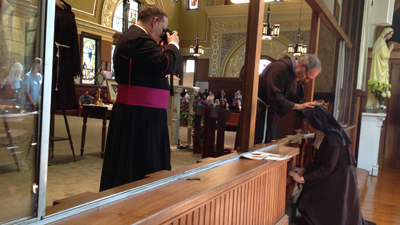 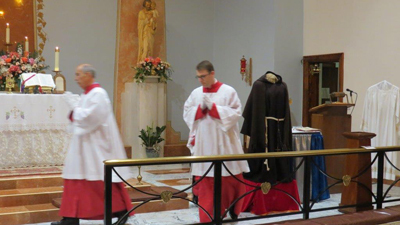 Perez, STD., accompanied by the custodian of the reliquary, Padre Fortunato Grottola. 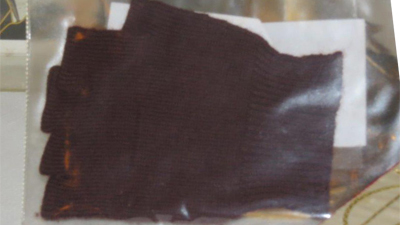 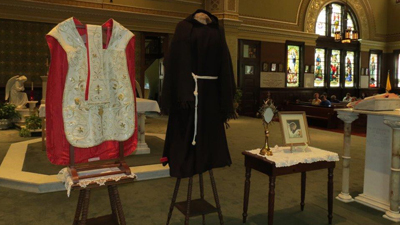 The sacred items included a habit and chasuble worn by Padre Pio, a glove that he used to cover the wound in his hand, a reliquary containing clippings from his beard and a handkerchief used to wipe perspiration from his forehead. 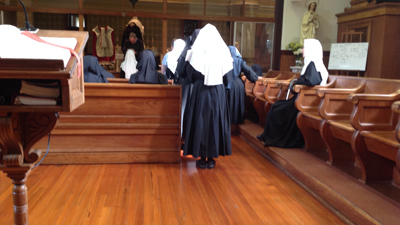 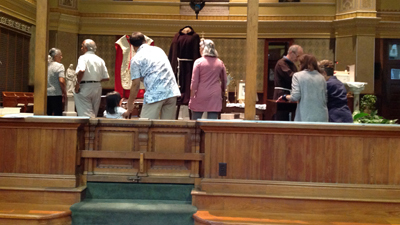 After a short prayer service and talk, there was time for silent prayer and veneration. 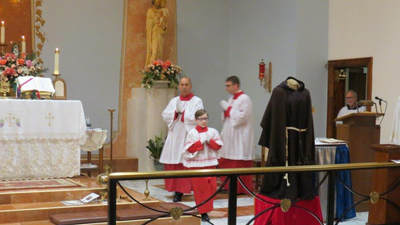 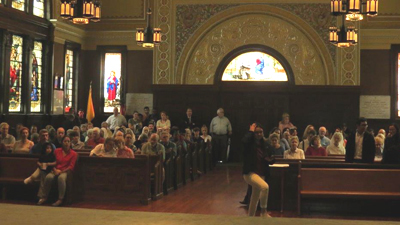 For over two hours all who wished, were allowed to enter the sanctuary for an individual blessing with the glove of St.Padre Pio, and to view the relics at close range. 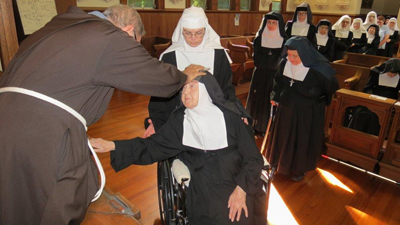 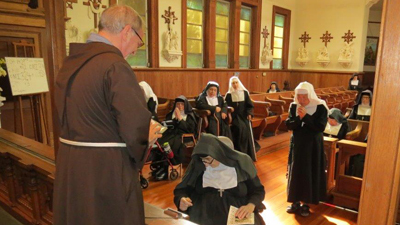 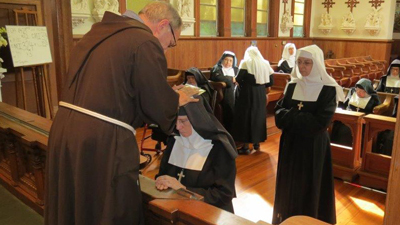 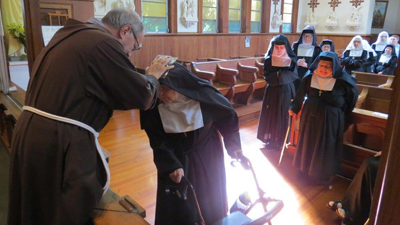 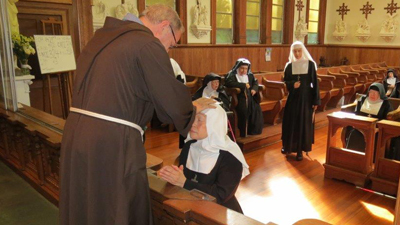 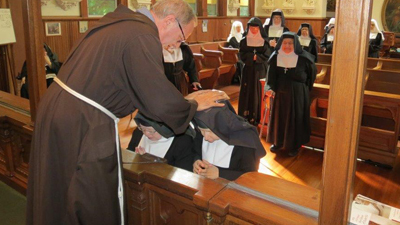 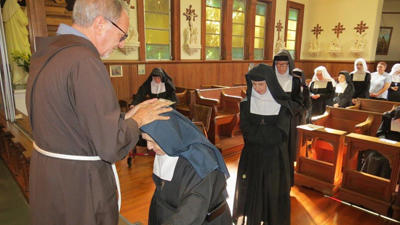 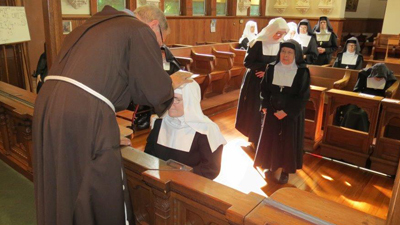 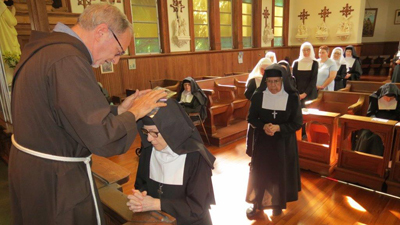 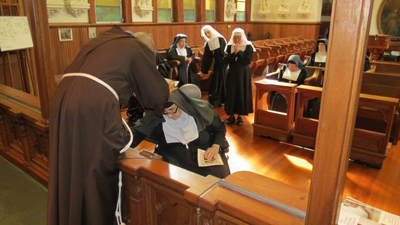 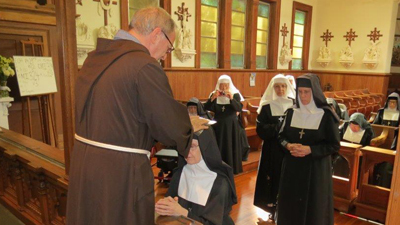 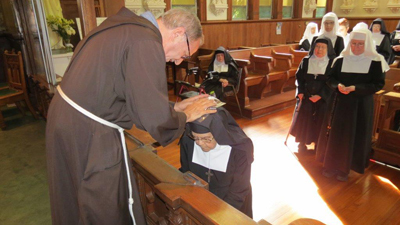 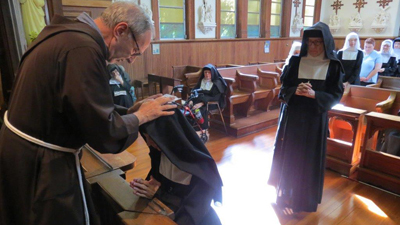 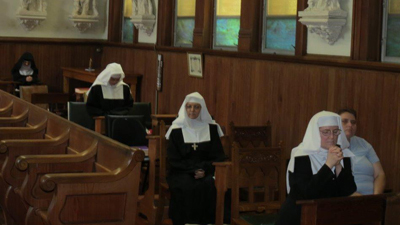 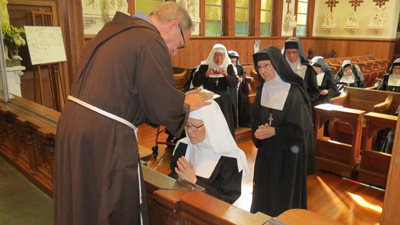 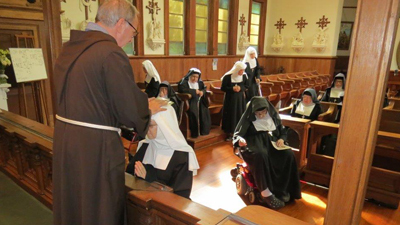 The sisters sang the Divine Office of evening prayer just before the closing of the service in honor of this awe-inspiring and holy example of priestly virtue.